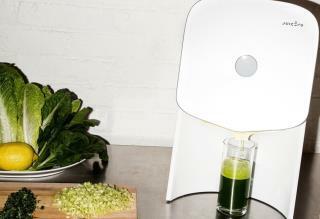 (Newser) – A company whose investors and customers went sour on its high-tech $400 juicer after a scathing Bloomberg report earlier this year has shuttered, CNNMoney reports. "After selling over a million Produce Packs, we must let you know that we are suspending the sale of the Juicero Press and Produce Packs immediately," Juicero noted in a release on its website Friday. The statement blamed a lack of adequate "infrastructure" for manufacturing and national distribution that it can't achieve on its own, adding that to successfully sell its much-maligned juicer, it would need "an acquirer with an existing national fresh food supply chain." As they say in the stock market, the juice wasn't worth the squeeze. If you have not seen the Bloomberg video of both the juicer and a human squeezing the bag of juice you need to. It is almost as good as the comments on Newser.